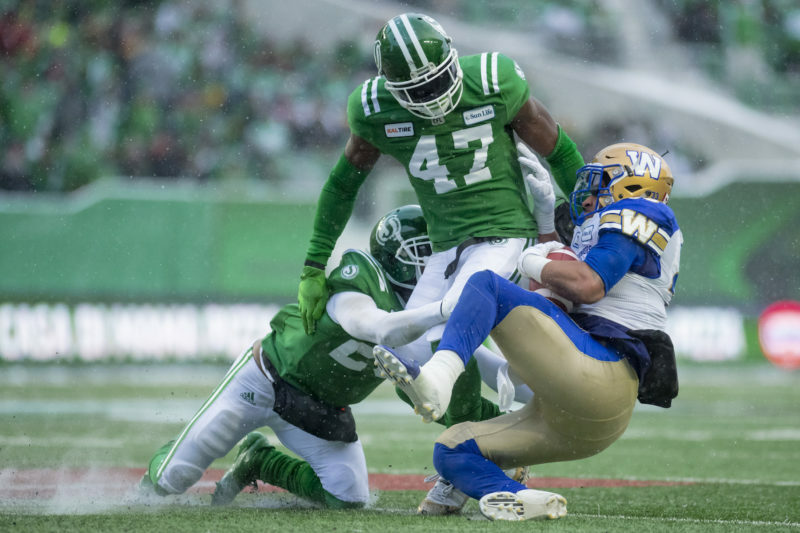 Saskatchewan Roughriders linebacker Sam Eguavoen suggested there were “ups and downs” during the CFL team’s 2018 season. If that’s the case, the rollercoaster carrying the Roughriders coasted to a stop Sunday, forcing its passengers to disembark well before they were ready. A 23-18 loss to the Winnipeg Blue Bombers in the Western Semi-Final at Mosaic Stadium ended Saskatchewan’s season. “There were a lot of ups and downs (and) a lot of changing pieces in the locker room,” Eguavoen said when asked to assess the campaign. “(There were) new attitudes, good attitudes and bad attitudes, but I think we found a way to get the perfect team and the perfect guys on the field. The Roughriders lost four of their first seven regular-season games (some of the downs to which Eguavoen referred) before going 9-2-0 the rest of the way (some of the ups). Their 12-6-0 record left them in second place in the West Division and earned them a home playoff game — their first since 2013 (another up). But then the Bombers spoiled the party (another down). “It was good to win 12 games and get home field in the playoffs,” Roughriders slotback Naaman Roosevelt said. “That was big. That’s what Coach (Chris) Jones talked about last year when we were leaving, getting home-field advantage and taking that next step. The first-place finisher in each division gets a bye in the first week of the playoffs before playing host to the division final. That means only one post-season victory is required for that team to qualify for the CFL’s championship game. Saskatchewan hasn’t finished first in the West since 2009. 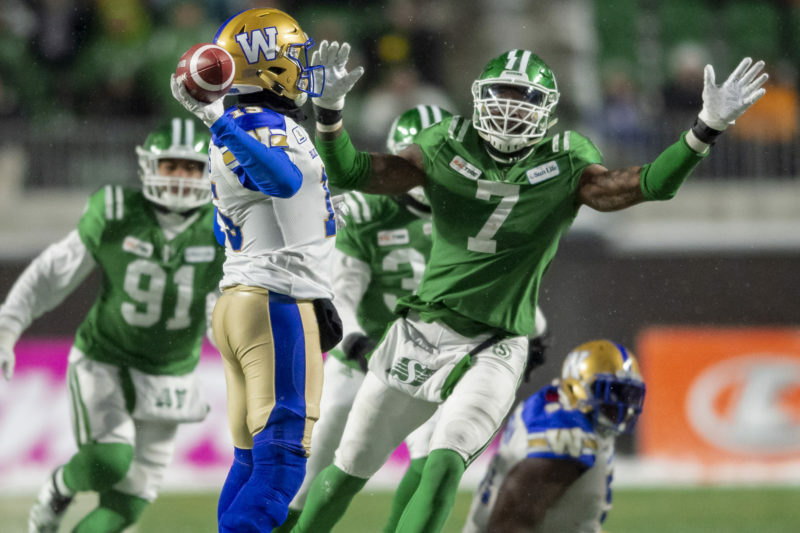 Saskatchewan missed the playoffs in Jones’ first season in charge in 2016 before earning the crossover berth into the East Division’s post-season in 2017. The Roughriders beat the host Ottawa Redblacks in the Eastern Semi-Final, but then lost to the Toronto Argonauts in the Eastern Final. If not for a successful third-down gamble by the Argos in the late stages, Saskatchewan would have gone to the Grey Cup game. This season’s group got off to a scuffling start before hitting its stride, a turnaround that made the season for defensive end Willie Jefferson. “We started off slow, people started to doubt us, (and then) we added a couple of pieces and made our team a lot stronger and a lot tougher,” he said. 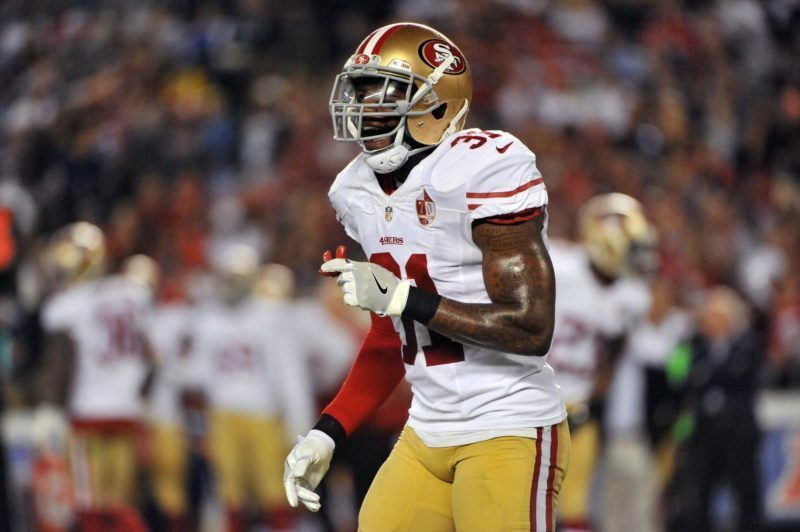 For Jefferson, the key to maintaining the momentum that has been generated over the past three seasons is getting everyone on the roster to buy in. He noted that in 2018, a lot of players “wanted to do certain things their way” before developing trust in their teammates. 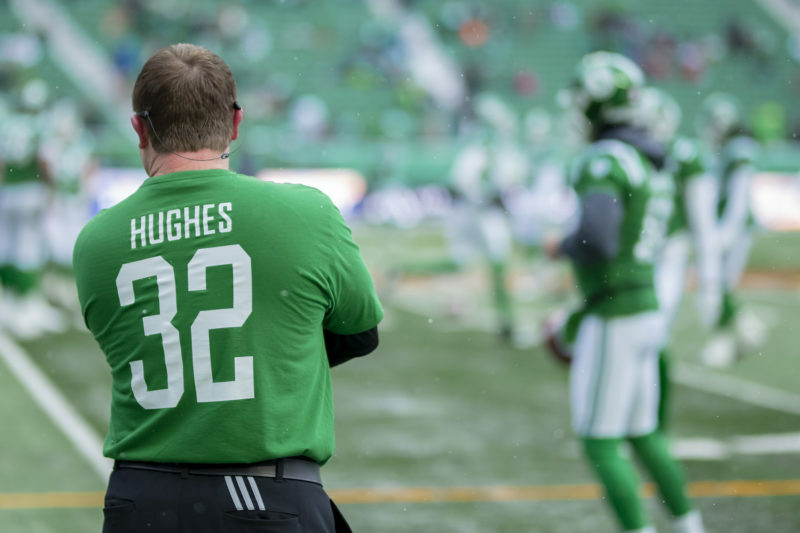 Once that was established, the Roughriders went on their run — albeit a run that ended two games short of the CFL final. Jones was able to infuse youth into his roster in 2018 — he noted that Sunday’s lineup featured 12 CFL rookies and seven sophomores — and, in his mind, that bodes well for the future. Mind you, the 2018 edition did have its issues. The defence carried the team with help from the special teams while the offence endured season-long struggles. 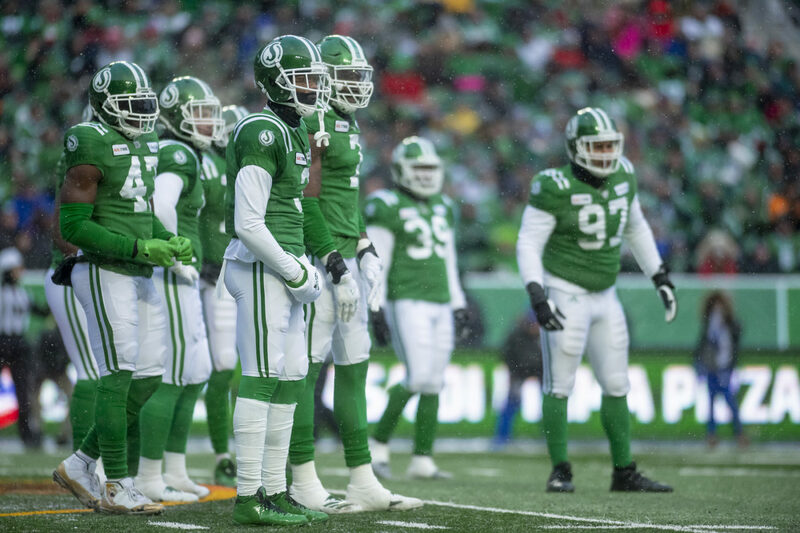 Saskatchewan finished in the bottom third in many of the league’s key offensive statistics in the regular season, including offensive touchdowns (25, last in the CFL), passing touchdowns (11, last) and net offence per game (322.8 yards, seventh). Those problems arose again Sunday, when Lauther kicked four field goals (the longest of which was a 34-yarder) and the offence generated just 205 yards of net offence and one TD. 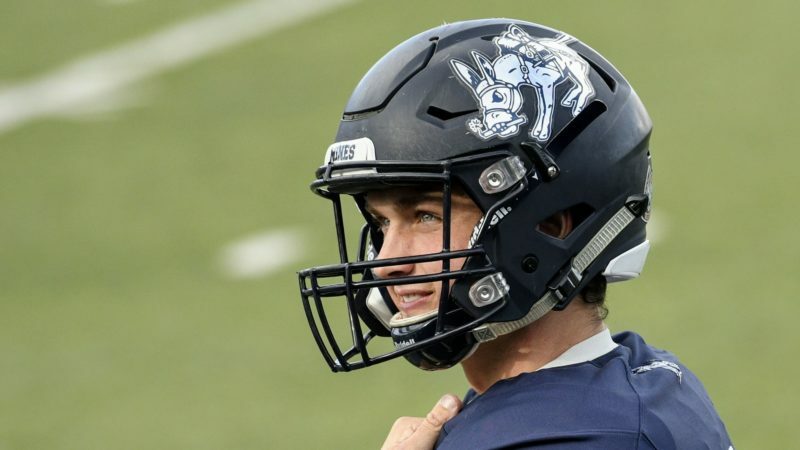 “You’ve got to be able to score some touchdowns; everybody knows that, and it’s nothing that our people wouldn’t tell you,” Jones said when discussing what improvements must be made for 2019. 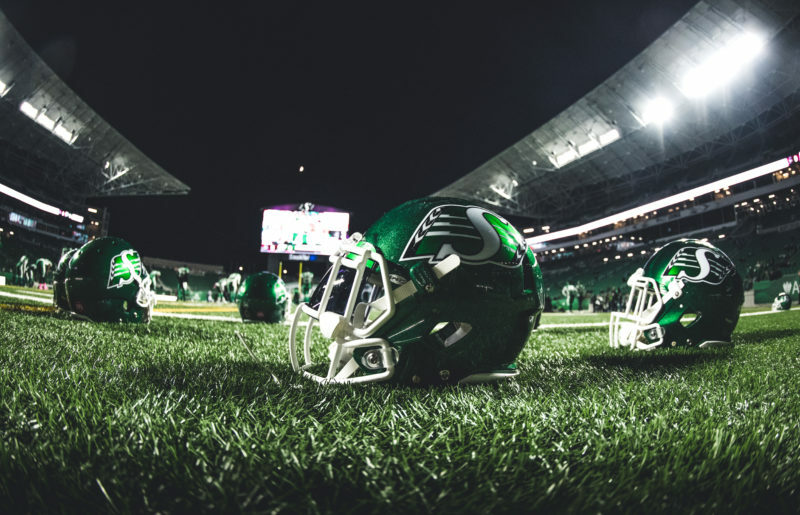 While the Roughriders won more regular-season games in 2018 than they did in 2017, their 2018 post-season ended one game earlier than it did in 2017 (in a division semifinal as opposed to a division final). When that was mentioned Sunday, Jones said the Bombers are a better team than the 2017 Redblacks were. He also noted that it’s tough to compare different seasons — and it’s not worth comparing them, either.